The Centre for Cities – incubated at IPPR – deserves enormous credit for pressing the cities agenda in the policy world and consistently revealing astute analysis about the role of Britain’s urban centres in driving economic growth. Their annual Cities Outlook report has become a milestone in the media calendar, and its accompanying Cities Factbook is a reference tool for many in local government and beyond. But the media’s decision to paint this year’s outlook as a story of a growing north-south divide betrays an over-simplification of economic realities. 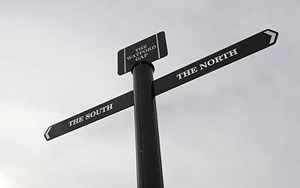 In broad brush strokes few doubt that a north-south divide exists and few would question the fact that in the past decade it has grown. However there are numerous reasons why such a characterisation obscures important details in a way that makes easy headlines but distorts the important debate. First of all, it’s simplistic analysis. The Cities Outlook report brings together a range of indicators by which England’s ‘primary urban areas’ are judged: population growth, business growth, jobs growth and housing costs. In each there is a case for a broad north-south differentiation, but that picture is obscured by more than a handful of anomalies. Half of the top 10 cities for business growth, for example, lie outside of the south and include perhaps unexpected growth cities such as Warrington and Middlesbrough. In terms of private sector jobs growth, four out of 10 of the worst performing cities are in the south including both Swindon and Gloucester, which is bottom of the league. And both Newcastle and Barnsley find themselves in the top 10s for jobs growth and private jobs growth respectively. So clearly there’s a more complex picture emerging, with some places outperforming (or underperforming) against wider regional patterns. Recent data on GVA growth in the past year shows that the West Midlands and Greater Manchester grew faster even than Inner London. This should be of no surprise. It is clear that some cities are doing much better than their near neighbours – not least the bigger ‘core cities’ where the effects of enhanced connectivity and agglomeration together with significant regeneration investment during the last Labour government have clearly made a difference. The trick now is to ensure that the benefits of growth in bigger cities such as Bristol, Nottingham, Newcastle and Leeds bring dividends further afield. This is where crude city ranking doesn’t work well. High-flying Manchester, for example, will have a big influence on the future fortunes of cities such as lower-flying Rochdale, Bolton and Wigan. City connectivity – not measured in this outlook – is key and far from competing with one another to climb up the rankings, it is more important that cities work together to ensure they play mutually supportive roles in their wider sub-national economies. It is the idea that different cities fulfil different roles in a national economy that casts further doubt on the north-south characterisation. Comparing anywhere with London is a risk. As a global hub city – with all the strengths and weaknesses that entails – it is unlikely anywhere in England will ever match up. The UK’s ‘urban system’ will forever be dominated by such a global player, but what is important for Britain’s other cities is not that they can compete with London but that they can compete with their European counterparts. In our recent State of the North report, IPPR North compared UK cities with comparators overseas: the picture was mixed but productivity comparisons with cities in Germany, Spain and France put all but two UK cities (Aberdeen and Exeter) in the lower half of the distribution. Where the north-south rhetoric does stack up is on devolution. The Outlook report is right to point out that to date approaches to devolution have not ‘met the scale of the economic challenges facing UK cities’ but goes on to identify one exception: London. In the capital, city-region wide governance has given it unprecedented powers over strategic planning, transport, skills and housing and this has made a big difference. With every political party now promising city devolution, the debate must rage about whose proposals go furthest and fastest, and Centre for Cities will rightly play a vital role in urging more radical approaches. But aside from the headlines, the debate would do better to look at the devolutionary needs of connected urban systems rather than perpetuate north-south caricatures. and Tony Travers has stated publicly that just about every possible model of governance is in play somewhere in the world, and we can’t really say that any of them is clearly more successful than the others. Unless and until we have real evidence that the devolution of x powers to y level leads to an increase in economic performance, I think the case for devolution needs to be made on other grounds.